The ongoing renaissance of the INDYCAR Series is making North American open wheel racing a worthwhile spectacle attracting fans as well as drivers. With over 20 teams already committed to the 2011 IZOD INDYCAR Series, it is still a hard fought battle by drivers claiming through the ranks to be the elite ones with the right racing stuff (and to some degree the right sponsorship). 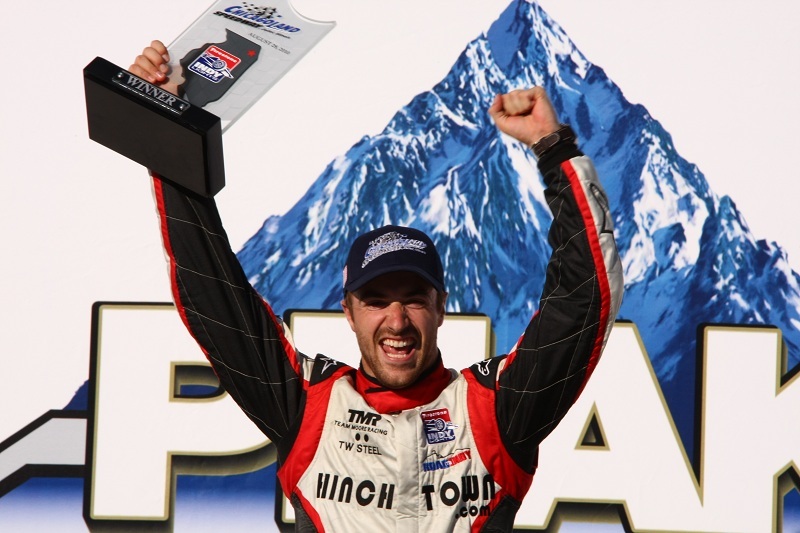 Canadian native James Hinchcliffe is one of the spotlight drivers within the 2010 Firestone Indy Lights ladder series concluding the season with 3 race wins and a runner-up final spot in the overall points standings. His second full year of racing the Firestone Indy Lights Series cars, Hinchcliffe's on-track performance and off-track charisma and character has made him a popular auto racing star. Attracting considerable attention, the well-established Newman/Haas Racing INDYCAR team invited James Hinchcliffe to suit up almost a month ago for a two-day test at Sebring International Raceway. Impressed with the initial test performance and team chemistry, Hinchcliffe is again going to test with the team January 20th and 21st at Sebring. Used to the bite of cold winters in Canada, Hinchcliffe's two days with the Newman/Haas Racing team in December was marred with unseasonable coolness complicating the search for vehicle grip. "The weather was brutally cold and we actually needed tire warmers to get any kind of performance out of the Firestones." Hinchcliffe said. Getting his first taste of driving an Indy car mid-December on the Sebring International Raceway (a renowned open wheel warm up track), the 26-year old Hinchcliffe was well-aware of the team's linage creating 8 championship seasons with 5 different drivers in the CART-derived open wheel racing series. As Hinchcliffe started the Honda racing engine for the first time, the Canadian led out on a cold Florida road course circuit. "Being my first time in the car, the team did a great job in helping me get up to speed, but made sure to not put too much pressure on me to go fast right away. It is a decent jump up from an Indy Lights car to an IndyCar and we all knew it would take a little time." Hinchcliffe detailed. Not the only driver at the two-day test with Newman/Haas Racing, veteran open wheel driver Oriol Servia. The pairing during the Sebring test allowed both the seasoned Servia and the young Hinchcliffe to zero in on their baselines during the day one of this test. "We did constant data comparisons with Oriol so I could see where I was losing time." Two days participating in the Newman/Haas Racing team, James Hinchcliffe noted that most of the track time was spent getting both drivers comfortable with the organization's Indy car. "We ran through multiple setup changes and when the team was comfortable with my speed I started helping Oriol on the team's test plan by assessing big setup changes on the car." Getting well acquainted with the open wheel race car, Hinchcliffe was authorized to run mock qualifying laps and make practice pit stops through the afternoon of the second day. During this late stage of the test time with Newman/Haas Racing, the young Canadian racer felt he was given "...a taste of the full INDYCAR experience". Preparing for a second test outing with the Newman/Haas Racing team at Sebring, James Hinchcliffe will have a chance to build on the lessons he learned following the first two-day orientation for a potential 2011 IZOD INDYCAR Series ride. "The biggest thing I got out of it was the confidence in knowing I am ready for that next step. I felt very comfortable very quickly. I have spent a number years in the junior formulae, and I am glad that I have taken my time before getting a chance in the IndyCar, because I really believe that it was all my experience that helped me get a good handle on the car and the whole different environment very quickly."